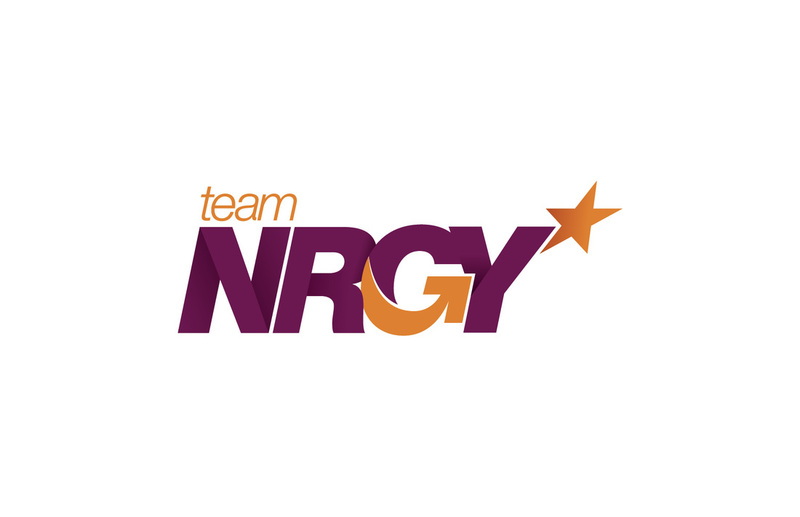 Team NRGY focuses on educating athletes, from beginner to experienced, enabling the athlete to achieve personal success. 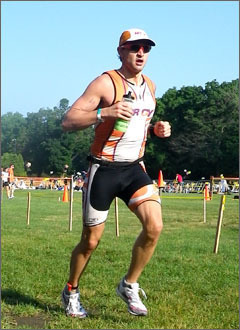 Jason has been actively participating in endurance sports for 20+ years. He began competing in triathlon in 2006 and has competed four Ironman events. Jason began Team NRGY, L.L.C. in 2008 as a way to give back to the multisport community in Northern New Jersey. Jason has coached many first timers to successful completion of events ranging from 5k’s to Ironman. 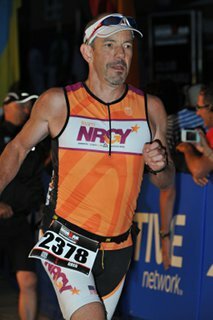 Jason has coached numerous athletes to podium finishes including trips to the Ironman World Championship, the Ironman 70.3 World Championship and USAT Olympic Distance Age-Group Nationals. His past experiences as a high school and collegiate athlete, summer sports counselor and professional coach has taught him about working with all types of athletes with different abilities, goals and personalities. One thing remains constant - each athlete has a personal goal deep within him/herself. He is passionate about helping you reach that goal! Jason has enjoyed many athletic highs and lows, easy times and yes, tough times, but no matter what the result, he has always come back to the experience another journey. He holds triathlon personal bests of: Ironman 10:04:10 (Ironman Lake Placid, 2008); 70.3 4:32:49 (2011 Gator Half, Sarasota, FL); Olympic 2:13:16 (2008 Lake George, NY). 11x All-American, and World Champion competitor for short course Triathlon, Duathlon, and WTC World Championship events (IM and 70.3). I've coached athletes to podium finishes in all distances of triathlon/duathlon, running, and swimming. My specialties include running and swimming bio-mechanics and correction, training with power, lactate testing, and developing a sound training plan to fit in with the athlete's lifestyle so that they can achieve their goals. With over 39 years of competitive experience, and over 25 years in coaching experience. Head Coach, Ratchet Up Fitness, L.L.C. 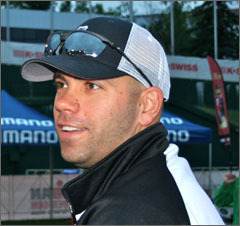 With a strong background in swimming and water-polo through high-school, Greg started cycling in his 30s and began triathlons in 2004, completing his first Ironman (Lake Placid) in 2005. Greg has now completed 6 Iron-distance and over 10 half-Iron distance events.Greg’s coaching philosophy to educate his athletes in the “why” of the workouts as well as the “what”. Greg feels that the multisport lifestyle of training and racing has direct applicability to all aspects of a person’s life. What we learn on the swim and bike and run, are lessons that will support us through the rest of our lives. 'You have cancer.' After hearing those words, I went to a bike store, purchased a triathlon bike that I couldn't afford and hung it on the wall in my bedroom. I promised myself that I would become an Ironman within a year, and I did. Lake Placid 2009. Jason helped guide me through that first Ironman journey and being one of the TeamNRGY founding members inspired me to go even further.I completed my USAT Coaching Certification in Summer 2010, with a strong interest in helping others with physical challenges and showing them how to find their inner athlete. Completing your first triathlon or becoming an Ironman means so much more if you can finish healthy, happy and wanting more. The reward of coaching for me is when one of my athletes crosses a finish line, shares the moment with their family and loved ones......and wants me there among them. From 2011-2015, I lived in the United Kingdom outside of London, travelling extensively for work. The lifestyle has enabled me to take the TeamNRGY colors to compete throughout Europe, including UK / France / Spain and Switzerland. It has also taught me much about training efficiently, which is my current focus. In 2014 I completed IM Wales, my third Ironman journey, celebrating 5 years cancer-free. While in the UK, I was also head coach for Berkshire Triathlon Squad. I am involved with many charities and continue to work with Team Inspiration to help Cancer Warriors use triathlon to heal and find their inner athlete and inner self. 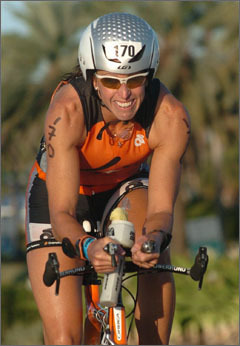 I am happy to be back in New Jersey and look forward to helping you reach your triathlon goals. I am probably one of the most unlikely triathletes, let alone a seasoned athlete and coach. My path of athletics has taken me everywhere from a 260 lb football lineman to international competition with the USANKF karate team in Greece and Venezuela. Now, my passion for triathlon has forged a new path by helping triathletes maximize their full potential on race day as a Chiropractor and Coach.How did I end up in endurance sports? Looking back, it was a long winding journey. Football was all consuming through my teen years. Karate filled the off-season. Snowboarding took my attention as soon as the snow fell until it melted (I still love to snow board). I hated running (note: I was the last one across the line during "gasers" at the end of practice, do you remember those?) and had plenty to keep me busy. The tide started to change in college when a friend introduced me to mountain biking. I was hooked. Ride a bike on the road? Never. Little did I know that would change in a few years. When I moved Florida in 2003, away from my family and friends, for Chiropractic school I had a lot of extra time. I started running to shed a few pounds and stay lean. I was still lifting a lot. My friends got me to enter a 5k. The rest is history. My competitive side of me took over as I beat all my friends in 23:15. This was followed by the Outback Distance Classic 12k where I took 1st in my age group and 23rd overall out of almost 2000 runners. After watching an overweight kid on MTV finish a triathlon, I entered my first triathlon in 2004 (Suncoast Triathlon, St. Petersburg). Using my mountain bike, I finished in 1:04. Yup, I was bitten by the bug (the triathlon bug). I entered the Florida Half Ironman at Disney 6 months later and bought my first road bike. I have participated in countless triathlons and road races (running) and even run two marathons. I have posted personal bests in the Marathon (NJ) 3:27:53 (2009), Wyckoff Triathlon 1:37:55 (2009) and Olympic Distance (NYC) 2:18:49 (2009). I look forward to posting some long course PRs in the coming years. My devotion to both multisport and the athletics has pushed me to expand my boundaries as a coach and doctor. I treat and train with athletes of all levels on a daily basis. I have studied Active Release Technique (ART) and Kinesiotaping providing the athletes I work with a step up on their competition. As a coach I look to get my athletes to push themselves to new limits. In my ten plus years of coaching (I have been coaching international level karate since 1998) I have learned to provide you with tools and knowledge to reach your personal goals. Working with me, you can expect a field-tested approach to training with recommendations based on the most recent research in the field of sport science and nutrition. I look forward to helping you maximize your performance.